Giving a gift specifically for the mom-to-be is a refreshing way to acknowledge just how special she is, as well as to celebrate the upcoming birth. Whether it's a small practical gift that tells an expecting mom you're thinking of her, or something sentimental for the special pregnant woman in your life, there are dozens of great gift ideas from which to choose. Pregnancy takes a huge toll on a woman physically, mentally, and emotionally. A pampering gift will be a highly appreciated one. Allowing the soon-to-be-mom to take time to relax and feel refreshed during such a busy phase of her life is a special gift. A massage gift card can be a welcome pampering gift during the sometimes stressful prenatal period. Look for a certified massage therapist that specializes in prenatal massage. Give a spa gift card for a facial, manicure, pedicure, or other treatment. A spa gift card for a beauty treatment is a gift any woman would love, but particularly during pregnancy when women can use an extra boost. Look for facilities in your area that cater specifically to pregnant women (such as La Bella Belly Pregnancy Spa), or consider a spa that uses natural or organic products. Consider giving stretch mark cream, oil, or a kit. Stretch marks are common during pregnancy, but using products designed to help soothe and reduce stretch marks can help. Products can be purchased individually or in a kit, such as The Spoiled Mama's Stretch Mark Prevention Kit with vegan Tummy Butter and Bump Oil, or the Mambino Anti-Stretch and Rebound Skin Duo with oh baby! belly butter and moisture me toning oil. Another option is maternity clothing or a gift card. Help the lucky mom to select a cute new outfit to boost her spirits and help her look her best with fashionable maternity clothes. Purchase a versatile item of clothing, like the stylish yet comfortable Chevron Print Dress from Pink Blush Maternity, or give a gift card for a specialty maternity retailer. A mom-to-be may love a gift of prenatal yoga classes or DVD. 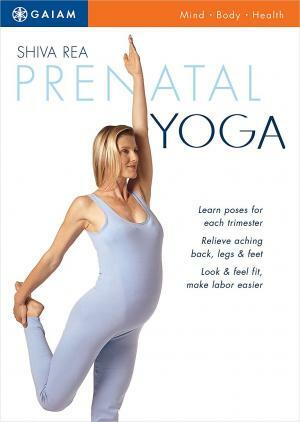 A prenatal yoga class or DVD, such as Shiva Rea's Prenatal Yoga, which can be modified for each trimester, will result in helping the mother-to-be to relieve stress, tension, and sore muscles. If you can afford to give an expensive gift, consider gifting a 'Babymoon' or trip for the couple prior to the birth. If you need ideas, check at travel agency locally or online. Many travel companies and resorts offer different baby moon packages, such as Jet Blue and Liberty Travel. Keep in mind that this gift is best given earlier in the pregnancy, as some health care providers may restrict travel in the third trimester. Food gifts can be good choices for a pregnant woman; however, be sure to take into consideration special circumstances, such as gestational diabetes, morning sickness, and allergies. Get a few ideas from hubby of what the mom-to-be is craving, or fill a basket with traditional items associated with cravings, such as pickles, chocolate, and fruit. Add a gift certificate for a local ice cream shop for the finishing touch. Tea can be a soothing evening or morning drink, but many women forego caffeinated versions during pregnancy. 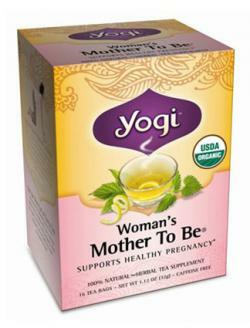 A nice choice for a gift would be a tea specially formulated for expecting women, such as Yogi's Mother to Be Tea, an organic blend including raspberry leaf that supports healthy pregnancy. 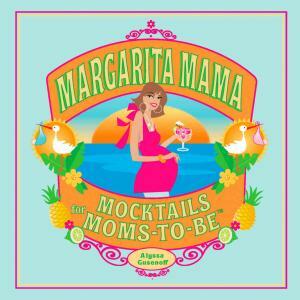 Give a book filled with non-alcoholic mocktails, such as Margarita Mama's Mocktails for Moms-to-Be, or simply find a recipe or two for an alcohol-free cocktail and gift the recipe along with ingredients for the drink. Get a gift card or certificate for her favorite restaurant to allow her to indulge in cravings or simply get a night off from cooking. A sentimental or keepsake gift can be a beautiful and cherished expression of your love for the expecting mom. An item like a stackable ring that includes the birthstone of the expected little one, or a symbolic piece with a mother and baby like this Eternal Bond Heart pendant, can be a sweet and sentimental symbol of the new family. The months before the baby is due are filled with joy, excitement, and changes as the baby grows, and many women love to have photos to remember this special time. 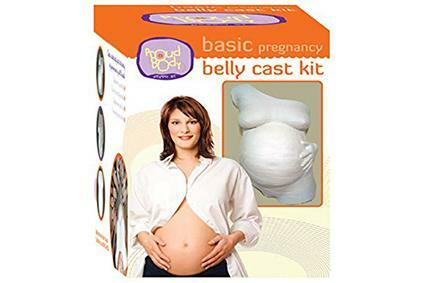 Although this gift may be out of the ordinary, women who enjoy keepsakes may love a kit like the ProudBody Belly Cast Kit. 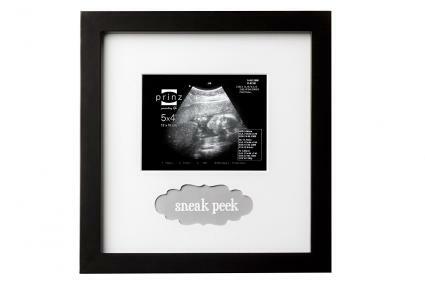 A sonogram is the next best thing until a mother can see her baby face-to-face, so consider a cute frame like the Watch Me Grow Sonogram Frame. Sometimes a fun gift can be exactly the right choice for a shower or just because. 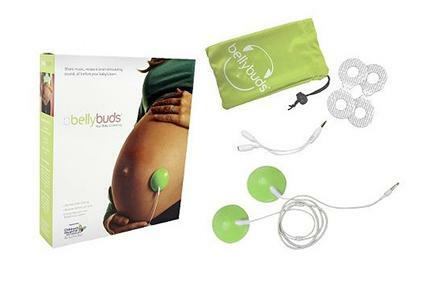 A fun and unique gift idea, Belly Buds are a sound system designed to allow a growing baby to listen to music and voices via special speakers that are gently affixed to the mother's tummy. Temporary belly tattoos or stickers, such as Sticky Bellies Pregnancy Milestone Stickers or ProudBody Temporary Tummy Tats are a particularly fun gift for those women who take frequent photos during pregnancy, or those who want to mark milestones of prenatal development. 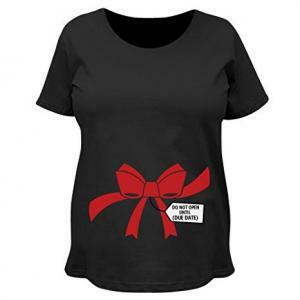 A fun maternity shirt personalized with the birth month, due date, or other customization, such as the customizable maternity shirts from Zoey's Attic, makes a fun gift choice to show the new mom-to-be how much you care. Time is a precious commodity to women who are expecting, so gifts involving time, services, or a way to make her life less complicated are thoughtful sentiments. There are also many gifts, such as the gift of your time, that are free and still show you care. In the first trimester, and sometimes beyond, many women suffer from morning sickness. 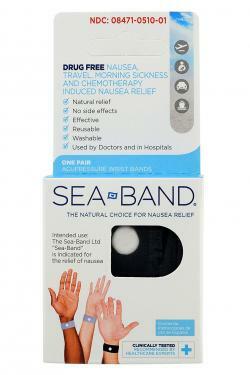 A nice card and a small gift such as Sea-Band or Three Lollies Preggie Pops are a thoughtful gesture. A pre-designed kit for the hospital, such as the Pre-packed Hospital Labor Bag from My Pure Delivery or The Ultimate Labor Kit from Belly Bandits, come with a variety of items to help the new mom during and after labor. You can also create a kit yourself by filling a bag with items like light snacks, lip balm, hair ties or stretchy headbands, and gripper socks or slippers. The gowns provided by the hospital are often ill-fitting and uncomfortable. A woman may appreciate her own hospital gown, such as a Gownies pretty hospital-approved gown or Baby Be Mine hospital gown. Reading and writing materials are great for women to celebrate the new life in their life. Consider gifting a special journal for her to record prenatal memories, books to help her prepare for her new arrival, such as Beth Ann Fennelly's Great with Child: Letters to a Young Mother, or a magazine subscription to a magazine such as Pregnancy & Newborn. Either an offer to help clean and organize in preparation for the baby or a certificate for a local cleaning company to help do the dirty work are thoughtful ideas. Many people bring meals after the baby is born, but a homemade meal can be a nice gift during the pregnancy, as well, particularly in the third trimester when women are often fatigued. If the expecting mom has other children, an offer to help with the other children or run errands for her can be a priceless gift. Create homemade 'coupons' for these offers and place inside a congratulatory card. Fatigue and insomnia often occur during pregnancy, so items that help a woman to rest can be great choices. A body pillow, such as the Snoogle by Leachco, is excellent for providing back and tummy support to help her rest. A sleep wedge like the Boppy Pregnancy Wedge provides concentrated support for the back and belly, and is lightweight and portable enough to take anywhere. 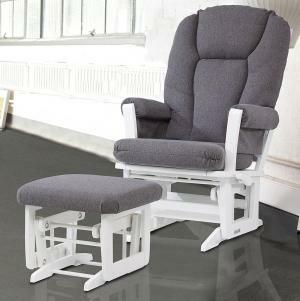 If you want to spend a little more on your gift, a nice recliner, rocking chair, or glider with a footstool like the Dutailier Sleigh Glider with Comfort Cushions can provide the expectant mother a comfortable place to relax and possibly sleep. A comfortable maternity robe or gown, or loungewear, like the B.D.A Lounge Pants, can do double duty to keep mommy comfortable for both during the pregnancy and after the baby is born. Find out her size and grab and pair of comfy slippers or slipper socks for the expectant lady in your life. Look for a style that has some traction on the bottom, such as Labor and Delivery Slipper Socks from Milk & Baby, to prevent any slipping or falling. There is a wide selection of places to shop for gifts for pregnant women. Check the maternity and newborn sections of department stores like Target, or shop at stores specifically designed to carry maternity items, such as the following. The Spoiled Mama: Luxury maternity skin and health items are sold at The Spoiled Mama, including morning sickness items, maternity skin care, bath and body items, teas, and gift sets. Earth Mama Angel Baby: A wide variety of organic products for pregnancy are available at Earth Mama Angel Baby, including teas, soaps, lotions, stretch mark prevention, lip balms, and gift sets. Noodle and Boo: Noodle and Boo carries a celebrity-endorsed line of skin care 'For the Mama,' including body wash, balm, oil, soap, and lotion. Due Maternity: A full line of stylish maternity clothing, including many active wear pieces, is sold here, as well as skin care items, books, and journals. A Pea in the Pod: With maternity clothes as spotted on celebrities, this shop is a popular one. Also available are items such as skin care, nutrition bars, morning sickness aids, books, and pillows. 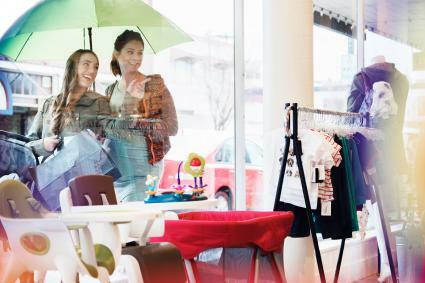 Motherhood Maternity: Motherhood has a range of clothing, including the Bump Start affordable fashion line, so giving a gift card for this store means the new mom can get more for her money. 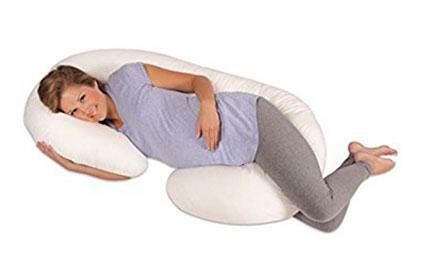 They also carry the Snoogle and Boppy pillows, as well as a range of other maternity aids. Pink Blush Maternity: This specialty boutique dedicated to maternity clothes that are flirty and feminine also carries fun, stylish jewelry and accessories for the expecting woman. Lifetime Mothers: Beautiful mother's jewelry is available here, including mother and child designs, birthstone mother's jewelry, and many items that can be engraved or customized with things like the baby's due date. The nine months a woman spends nurturing a child in her womb are a special time. Celebrate the new life and encourage the pregnant woman in your life with a gift that is especially for her.